CHS (Brandon) employees used some of their CHS “Day of Service” hours to volunteer at the Banquet in Sioux Falls on Thursday, Feb. 1st. Those present (clockwise from left) were Jackie Bailey (spouse of Jacob Bailey), Jacob Bailey, Michael VanOtterloo, Sue Boltjes (spouse of Eugene Boltjes), Tim Neuroth, Robert Rokusek, Eugene Boltjes, and Brock Dexter! 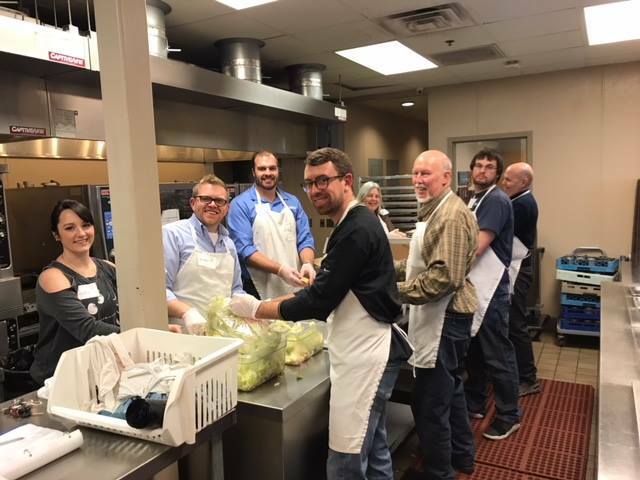 They prepared a meal of lasagna, garlic bread, salad, and oranges which helped feed “food insecure” people (including many children) from the Sioux Falls community. A huge thank you to all who participated! Great job of giving back everyone! 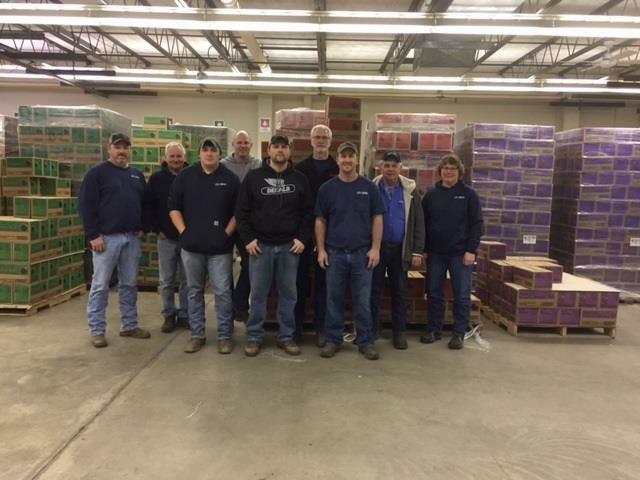 Our Worthing Agronomy location rounded up a group of employees to help the Girl Scouts of America sort cookies this week. (Andy Toft, Dave Reiners, Ryan McKenney, Jason Dorhout, Jesse Kunkel, Kevin Paulson, Jordon Andernacht, Gary Nelson, and Phyllis Hauger). CHS (Brandon) employees used some of their CHS “Day of Service” hours to volunteer at Habitat for Humanity. 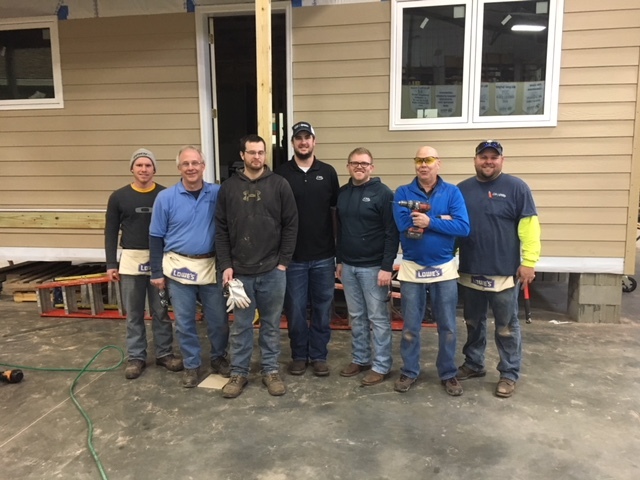 Our crew worked at an indoor building center putting siding on houses that will be moved this Spring to Sioux Falls. Pictured are: Jacob Berg, Rich Wiese, Robert Rokusek, Brandon Mack, Jacob Bailey, Tim Nuerorth and Kyle Selken.